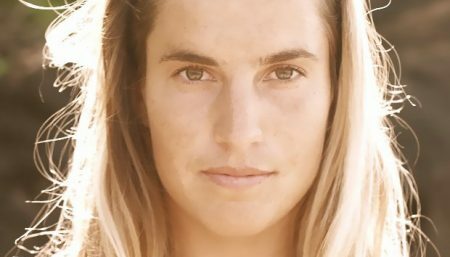 Tatiana Weston-Webb is a professional surfer, who was the only rookie on the WCT (World Championship Tour) in 2015. Weston-Webb is 2016 ‘CT rank number 4. She has impressed everyone with her ground-breaking performances and is working hard to participate at the 2020 Olympic Games. While she prepares to take on greater challenges in the world of surfing, Women Fitness’ President Namita Nayyar caught up with her to bring to you to some surfing inspiration from the star player herself. When did you first decide to take up surfing professionally? It’s funny because, for me, pro surfing was never a certain decision. I always knew if I really tried I could be on Tour and competing with the best, but I always pictured myself going to college and getting a degree. It came pretty quickly and unexpectedly. I was 17 and I had done really well in a few qualifying series events and didn’t know that I ended up one spot out of qualification. Then that following year, I got called up as an injury wildcard replacement in three tour events. That’s when I knew I loved the energy around those events and I wanted to be there permanently. I try to workout every other day. Surfing is a workout itself but our muscles are already so adapted to surfing, it really doesn’t feel like one. I surf every day twice a day for 2 hours each session. Strength! But recently I’ve been really into a spin class at home!